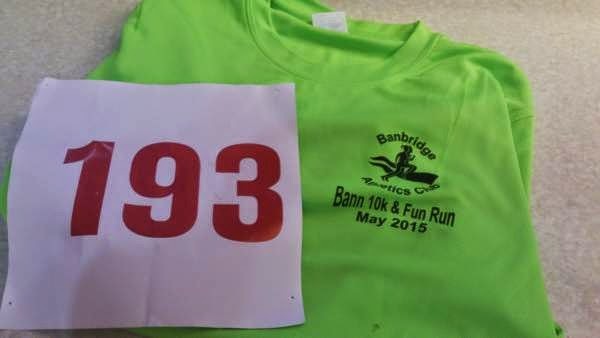 Funnily enough, I had not done a 10K road race since running my last Bann 10K. Other than marathons and half marathons, all my other races have been ran off road for the past few years. They can also work out a lot less expensive if they are supported by local councils. Tonight's run was £13, which was good value for money, especially as all runners were given a technical running t-shirt in their race pack. There was also food provided by the Windsor Bakery, but for some reason I forgot about this after the race. I'm still quite upset about that. There was an option to pick up the race pack on Sunday, but due to other commitments (possibly laziness? ), I hadn't picked mine up, so chose the other option of picking it up before the race. One advantage of this was that I had plenty of time to get organised and warmed up before the race. It turned out that quite a few of my friends were also taking part, so it was a good chance to catch up with a few people I hadn't seen in a while. The small talk and catch ups didn't last long before race times and training were being discussed. 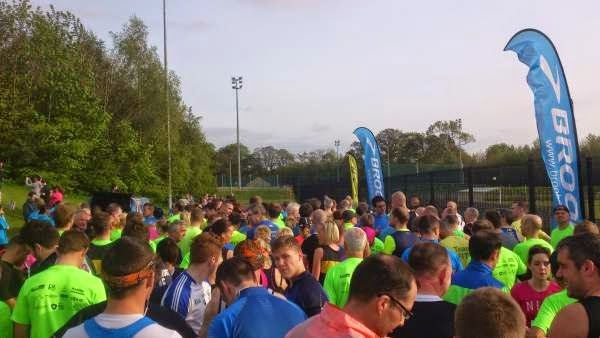 I was thinking that anything under 50 minutes would be acceptable, under 48 would be good, and anywhere close to my personal best (which I got at the Born To Run - Rossmore Trail Race) of 46 min 50 sec would make me very happy indeed. I've made the mistake of starting too fast on a couple of occasions this year, even as recent as a few weeks ago at My Parkrun Time Is Getting Slower race. So I thought I'd begin a bit further back from the starting line this time, in case I raced off too quickly. Getting ready to start the race.. It turned out I was too far back this time. I spent the first few minutes at a very slow pace, unable to pass those in front due to the narrow start of the race. Normally I'd start over taking other runners as fast as I could to catch up with a group running at my pace. But this time I just made my way through gradually. 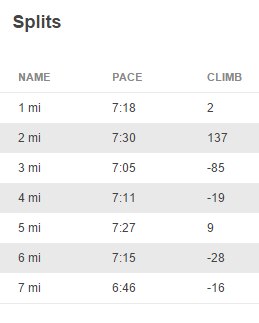 There were 6 miles to go, so there would be plenty of time to run a fast pace if I could manage it later on. There was also the small detail of the hills. The first two miles are almost all uphill, and there's a few more later in the race. I just kept at a steady pace, doing all I could not to burn myself out. The supporters that lined the main street certainly helped with their shouts of encouragement. After mile 2, we were given a break with a few downhills to get our breath back. I found a pace that I was happy with, and by mile 3 I was glad to see a water station. 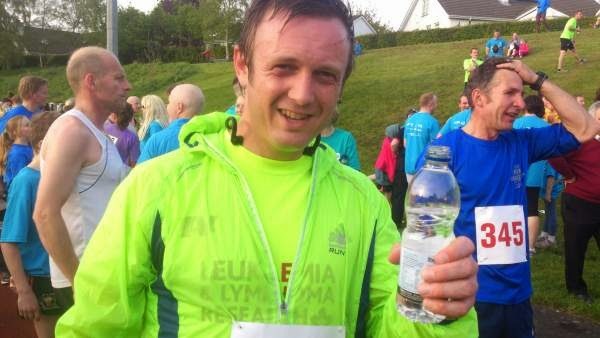 I actually stopped to drink my water, something which I have never done during a race before. While it may have knocked a few seconds off my time, I didn't spill half the cup all over myself. The hills soon returned, and the hill at mile 4 nearly beat me. Only for a few more supporters and race marshals, I don't think I would have made it to the top. A long gradual descent was followed by another run up the hill on the main street, before turning and coming back down again. The final mile also presented another hill to climb, while not as steep as some of the previous hills, it was a killer at the end of the race. On the final straight a group of about 5 runners passed me. I didn't care. I was just glad to see the finish in sight. I finished with a new personal best of 45 minutes 25 seconds. While this is still a long way off the Pace To Run A Sub 1.25 Half Marathon, it's certainly a step in the right direction. 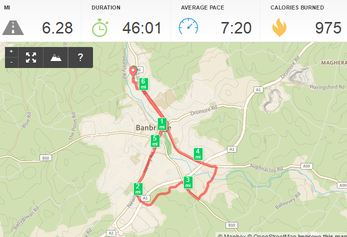 The hills had worn me down, and highlighted a weakness in my running. I'll be planning a few ways to improve my next race at the Lisburn 10K 2015 over the next few days. I'd like to get under 44 minutes on that run. 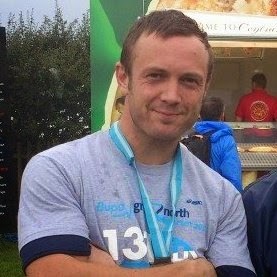 I'll also be running a few more 5K Parkruns to help improve my speed. And one of the best ways to improve speed? ....... Hills. I thoroughly enjoyed this race. 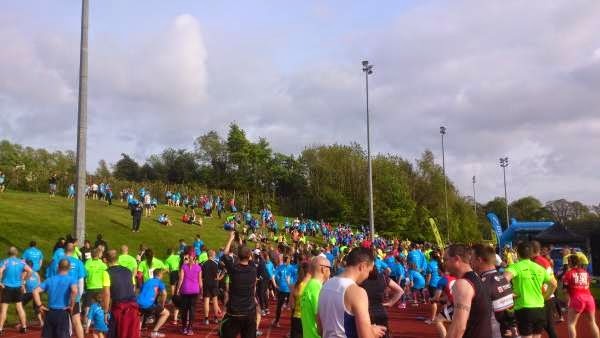 If you live in Northern Ireland and fancy a challenging 10K, then I can't recommend this enough. There was no finisher's medals, but the quality t-shirt more than makes up for that. I suppose in order to keep the price down they had to choose between one or the other. I think they made the right choice.